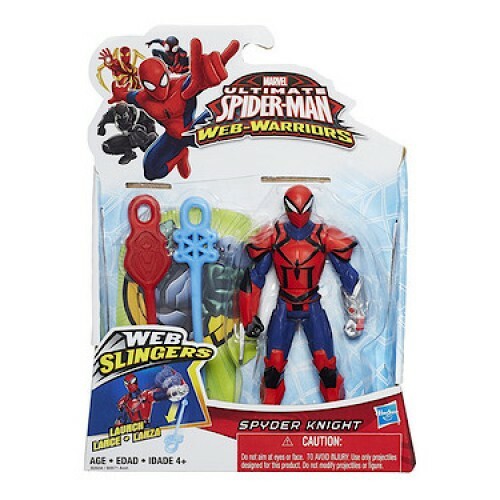 Ultimate Spider-Man Web Warrior Spider Knight figurine by Hasbro. Target the bad guys and take them down with this Web Slinger figurine. He launches webs at villains when you raise his arm and they don't stand a change against his web slinging assault.